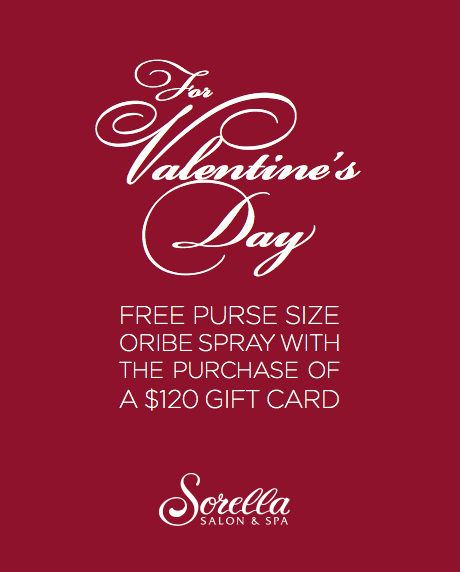 Spoil your loved ones this year with a gift card toward luxury products and services at Sorella Salon & Spa. Plus, you also get a free Oribe travel size spray! 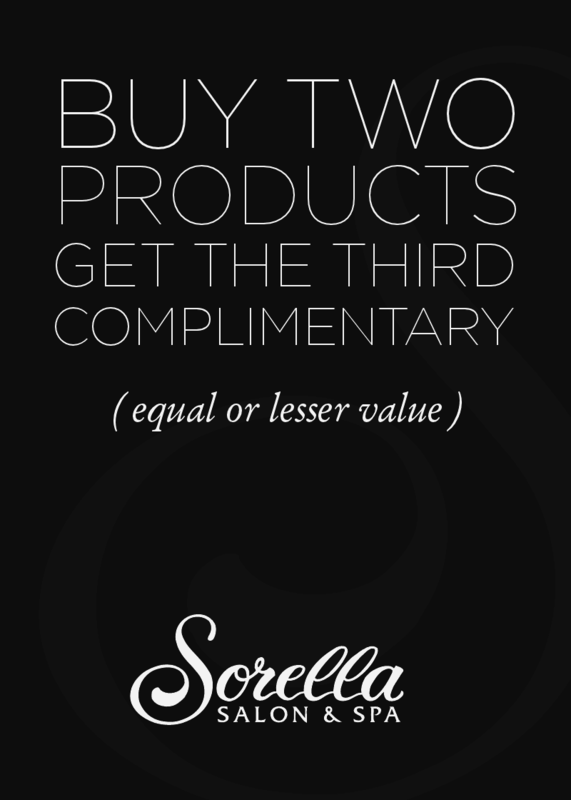 Offer valid at all three Sorella locations. It’s the most wonderful time of year once again! Sorella has some amazing specials on services, products and stocking stuffers. Treat yourself and others by giving the gift of luxury and beauty this season! Check out all our specials here or stop by any one of our three locations. 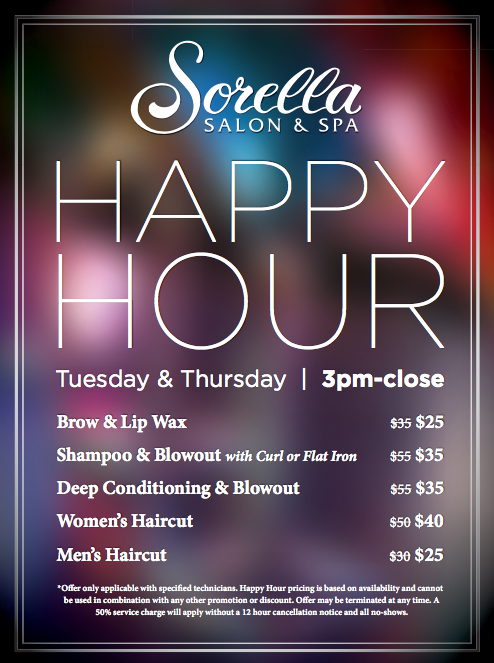 Every Tuesday and Thursday this Summer, stop by your favorite Sorella location for our Happy Hour Special. Treat yourself to a moisturizing deep conditioning treatment or simply come get a quick wash and style for a night out! *Valid only on Tuesday and Thursday of each week from 3pm-close. Appointments subject to availability, but walk-ins welcome! Now’s the time to stock up on all your favorite products! For a limited time only, if you purchase two products you get a third complementary (equal or lesser value). Happy Saturday to you! Offer valid at any one of our three locations. 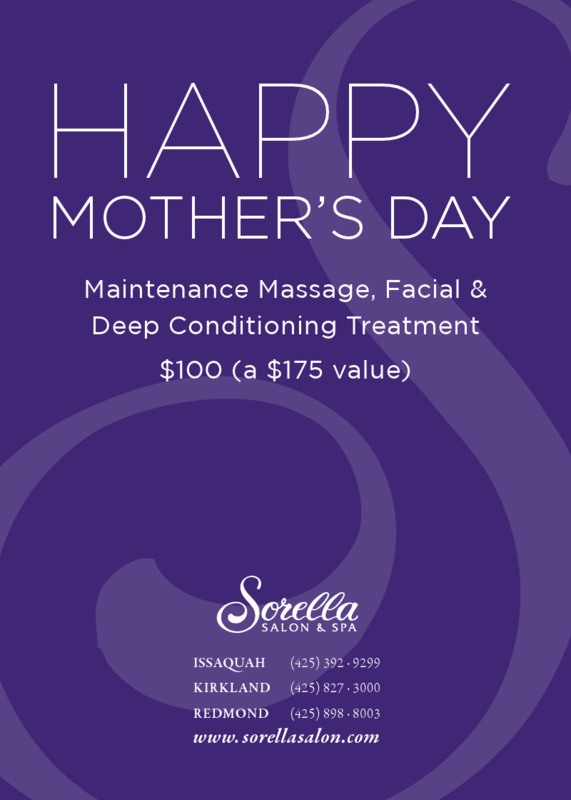 Happy Mother’s Day from Sorella! Treat your special Mom to a relaxing package filled with pampering. For only $100, she will get a Maintenance Massage, Maintenance Facial and a Deep Conditioning Treatment (a $175 value). Mother’s Day is just around the corner, so don’t miss out on this amazing special! Available for purchase at any one of our three locations. Do you need to get your hair done? Are you desperate for a facial or massage? 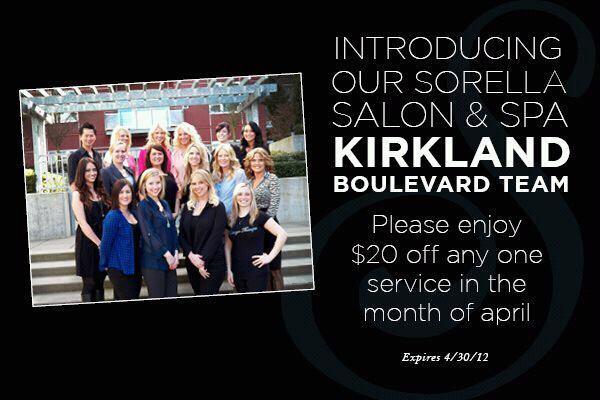 This month only, our Kirkland Team is offering $20 off any one service! Treat yourself and tell a friend, but whatever you do, don’t miss out! Valid only at our Kirkland location. 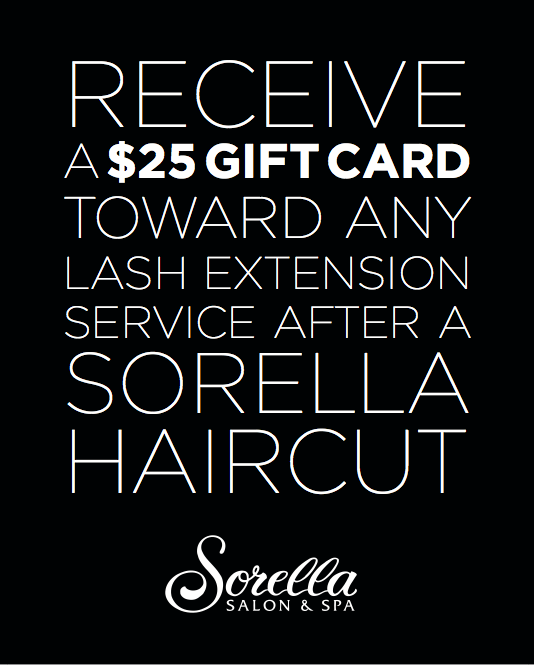 From now until Valentine’s Day 2012, all guests who come into Sorella for a haircut will receive a $25 gift card toward any lash extension service. Whether you need a fill or want to try them out for the first time, don’t miss out on this amazing special!